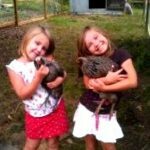 July 28, 2017 | Filed in: Chicken Coop Tour The Garden Coop. 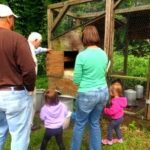 Should you’re prepared to join the rear-to-the-garden movement, you might like to attend the Valley Permaculture Alliance’s seventh Annual Tour de Coops on Saturday, November. 14. 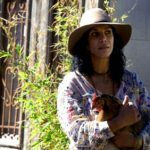 The main one-day, self-led tour of eight of downtown Phoenix’s finest backyard chicken coops will reveal interactive types of how you can incorporate chickens right into a sustainable garden. The tour starts at Tour Headquarters – Southwest Autism Resource & Research Center (SARRC) – where all participants can get maps and wristbands for accessibility backyard coops. 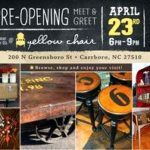 Tour Headquarters can serve as the very first coop around the tour as well as feature children’s craft activities, live music and food trucks. Sites around the tour sport clever names, like the Chick-Inn, Growhouse Golden Women, Dolce Verde and Mahna Mahna. 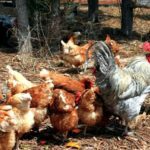 Each and every place, coop proprietors will show an “egg-ucational” subject and share their insights about chicken care, coop design and looking after harmony one of the chickens. 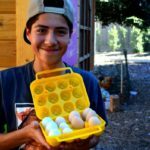 The “egg-ucational” topics include: Social Enterprise Aquaponics Chicken Breeds and Feeds Compost School Gardens Chicken Zoning Rules Seed Planning and Saving and Water Harvesting. Participants can drive or play in the “tour by bicycle” option brought by Phoenix Spokes People. Cyclists will ride in a slow pace, but be prepared to bike for 18 miles about two hrs of saddle time, based on Osteen. You will see a no-host lunch stop throughout the ride, which isn’t rollerblade-friendly or favorable to families with young children. Organizers expect 800-1,000 participants and also the tour will occur rain or shine. AWESOME CHICKEN COOP & RUN!